Please join like-minded parents for a follow up to the September Kidical Mass ride this March 9th. 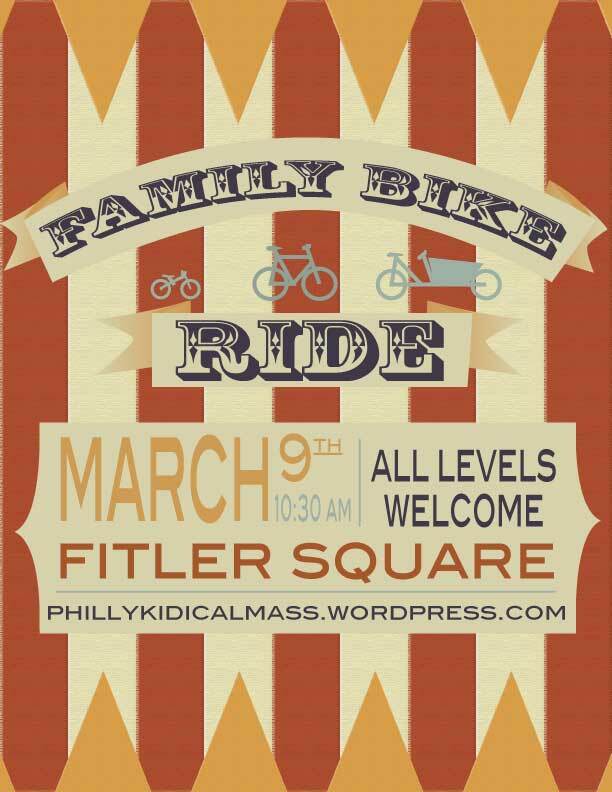 The late winter family bicycle ride around Philadelphia will meet at 10:30am at Fitler Square. This ride is open to all size kiddos and parents. Don’t forget your helmets and bells! More information on Kidical Mass Rides across the country!